Help your children to step away from the screens! Give them a taste of old fashioned fun. Remember, when kids moved around, jumping and falling and jumping again? 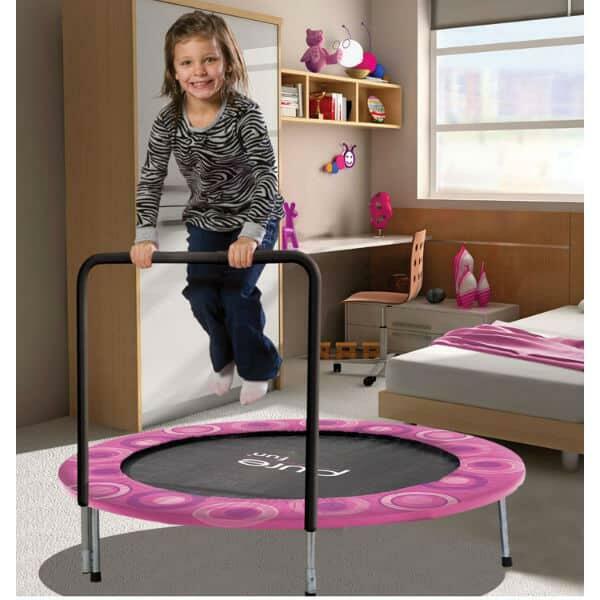 Bring a trampoline into your home and broaden the scope of after school activity. Pure Joy uses the best materials and construction to set your child up for safe jumping. And, the handle bar helps them to get acquainted with the ups and downs of trampoline play. The 48’’ Kids’ Super Jumper trampoline is made to last, built with a steel frame, a padded handle and 30 reliable, springy springs for bounce. The handle may be adjusted to meet the height needs of your children. The trampoline is ideal for use by children ages 3 and above, and can hold weight of up to 100 pounds.